Bryan and Michael Voltaggio were winner and runner-up in Season 6 of Bravo’s Top Chef series and since that debut have continued their rise to celebrity chef stardom. The title VOLT ink. 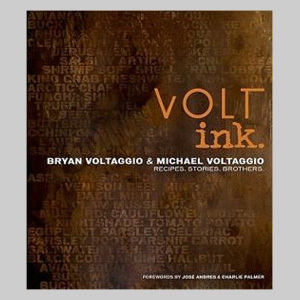 represents the brothers’ two restaurants, VOLT (Bryan’s in Maryland) and ink. (Michael’s in Los Angeles). The brothers specialize in new American cooking with a judicious use of Modernist Cuisine techniques. The book is divided into 20 different groups of ingredients with similar themes or heritages. For example there’s a section specializing in Citrus and one on Freshwater Fish. Like most modernist cookbooks the recipes are intricate, feature many components, and rely on some modernist ingredients and techniques. However, I’ve found the book to be very approachable and the flavors impeccable. 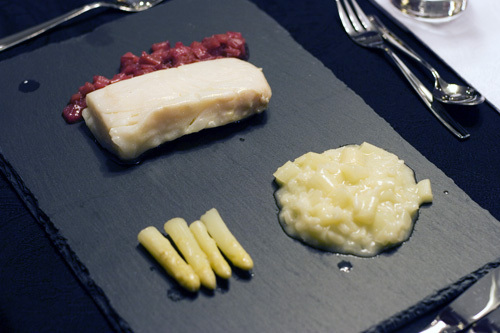 I’ve made the Halibut with White Asparagus Risotto and White Asparagus. You’ll note that I omit the cardamom shoots since I can’t find them in my neighborhood, and yet the dish is still delicious. 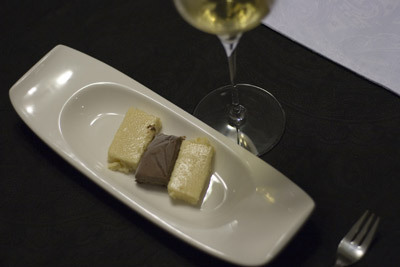 I’ve also made a rendition of the goat cheese and white chocolate cheese cake with frozen fudge (also with some variations). If you take a similar attitude with the remainder of the book you’ll be able to find several recipes that with a bit of planning and patience will yield fantastic results. 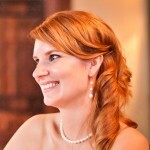 This is another great addition to the collection and you can find it or see more reviews here.